Over the past few years there has emerged a singular artist in Australian country music, and her name is Fanny Lumsden. Fanny is a singer-songwriter from New South Wales but she’s also a connector of communities across our wide brown land, a conjurer of audiences in small outback towns and a multi-armed goddess holding her guitar in one hand, a record label in another, a microphone, a baby, award nominations, a production company and a multitude of other things. That is not to say that other artists aren’t doing this – Catherine Britt springs immediately to mind – but there’s only one Fanny Lumsden. As an observer and a fan, it is always fascinating to watch her work. And, as Fanny makes it clear in this interview, it’s not just her behind it all – but that doesn’t make her any less inspiring or interesting. That’s quite apart from the fact that she writes some of the best songs you’ll ever hear, available on her two albums Small Town Big Shot and Real Class Act. We spoke on the occasion of the release of her latest single, ‘Real Men Don’t Cry (War on Pride)’, and the extraordinary video that accompanies it, which you can watch below. You are such an intrepid artist, you seemed to be on a plane to the US within a fortnight of having a baby – so how was your first tour with a plus one? I remember seeing you getting on a plane to Adelaide to play a show when he was very, very little. He was three weeks at that point. It’s all been quite a steep learning curve – I take my hat off to all the parents out there because it’s way harder than I thought. But when you don’t have a choice you just do what you have to do. 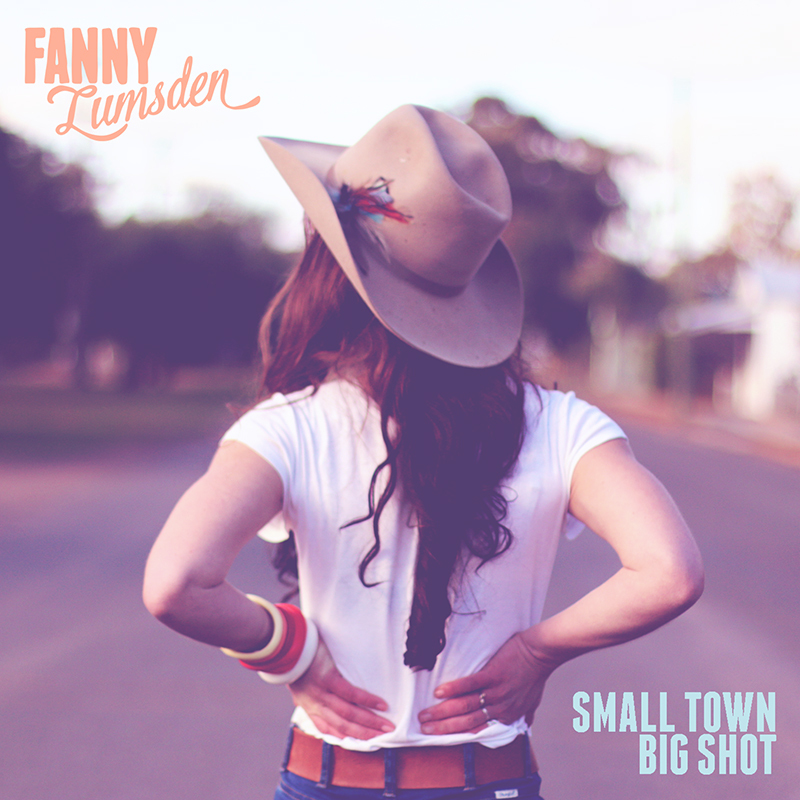 Since Fanny Lumsden released her debut album, Small Town Big Shot, she has established herself as a pillar of the Australian country music community. She was already seasoned at touring parts of Australia that rarely see a musical act, and she continued to do that – it was a fitting activity for someone whose music appeared almost to spring from the land and its people. Lumsden seems to intrinsically understand that one of the functions of country music is to tell the story of the country. It can be quite a responsibility, and it’s one she is absolutely capable of undertaking, as she showed on Small Town Big Shot and now on her second album, Real Class Act. On this new album Lumsden may return to the themes of her first – the land and its people – but she has moved on to new stories, and where there was a touch of (healthy) cynicism on the first album, the second is mostly a more jaunty affair. There is a notable exception: ‘Real Men Don’t Cry (War on Pride)’ is Lumsden’s serious – and needfully so – plea for Australians to relinquish the stoicism which can cause so much damage. It is the sort of directness that country music facilitates and allows to be sincerely received, because of the artist’s relationship with the audience and theirs with the artist. In someone else’s hands this song might sound hokey; in Lumsden’s – so assured, experienced and empathetic – it is moving. And it has a companion in the beautiful final song on the album, ‘Here to Hear’. The other songs on Real Class Act are the sort that evoke scratchy summer grass, dusty roads and old friendships, with all the mixed emotions they bring. Lumsden understands that the best way to communicate a story is not by trying to sweep up as many experiences and emotions as you can into the one song. Specificity is what offers the listener the opportunity to think, Me too. Or, if there’s no commonality, there is a richly detailed story to listen to instead. As with the title of her first album, Lumsden’s use of ‘Real Class Act’ could be taken as ironic – except it’s not. At every stage of her career she has proved herself to be the real deal, and a real class act. She’s also a one-off. 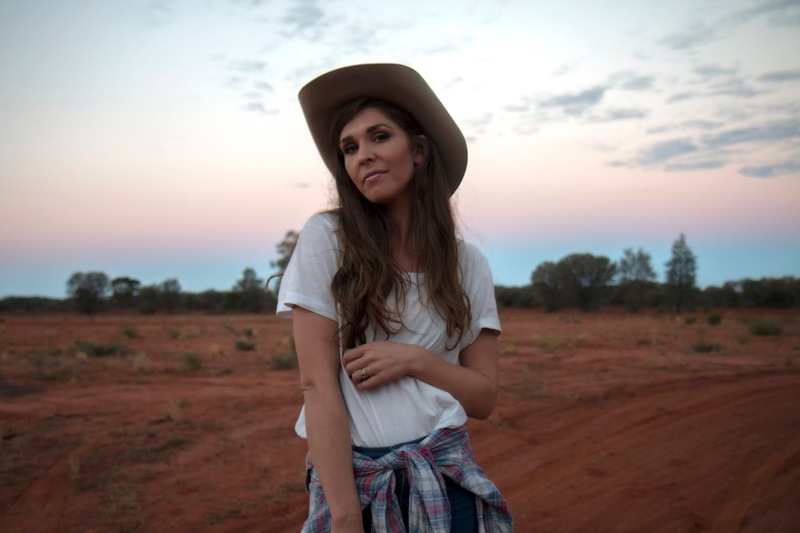 Lumsden honours the traditions of Australian country music and takes them further along the red dirt road with her, remaking them as she goes and creating a unique sound and style that can only continue to win more fans. Real Class Act is out now. An important reason for Fanny’s popularity is her willingness to tour to places that often don’t host gigs, with her Country Halls Tours. 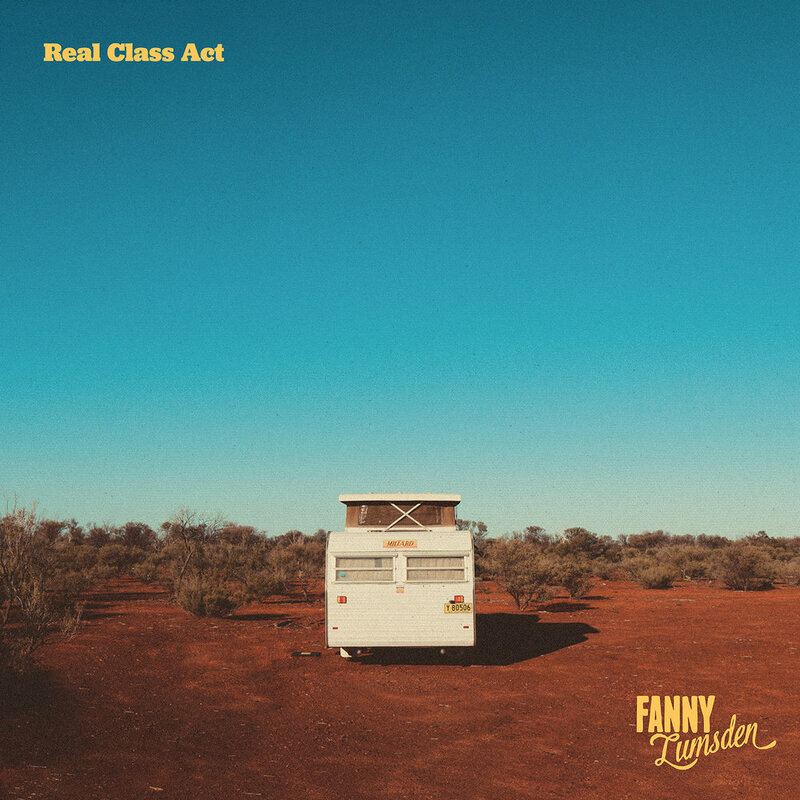 Fanny has just announced that she will soon embark on her sixth annual Country Halls tour, in support of her new album, Real Class Act, which will be released on 22 September. Fanny and her band, The Thrillseekers, will be heading to country halls in New South Wales, Victoria and South Australia, in towns including Burren Junction, Mullaley, Tullamore, Eurongilly, Tumblong and Andamooka. The tour will also aise funds for local communities, and will journey to metropolitan areas, BIGSOUND and Tamworth Country Music Festival along the way. 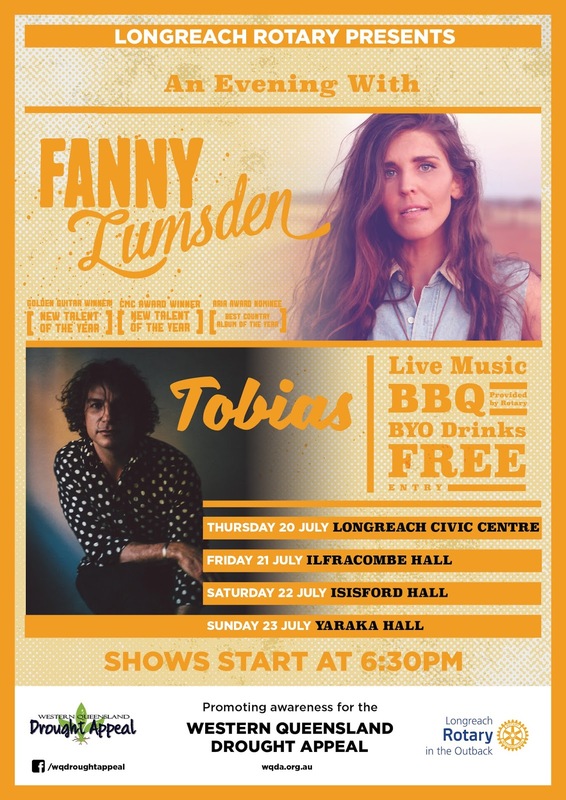 CMC and Golden Guitar winner Fanny Lumsden and Queensland singer-songwriter Tobias are soon to undertake a four-show tour of central west Queensland. 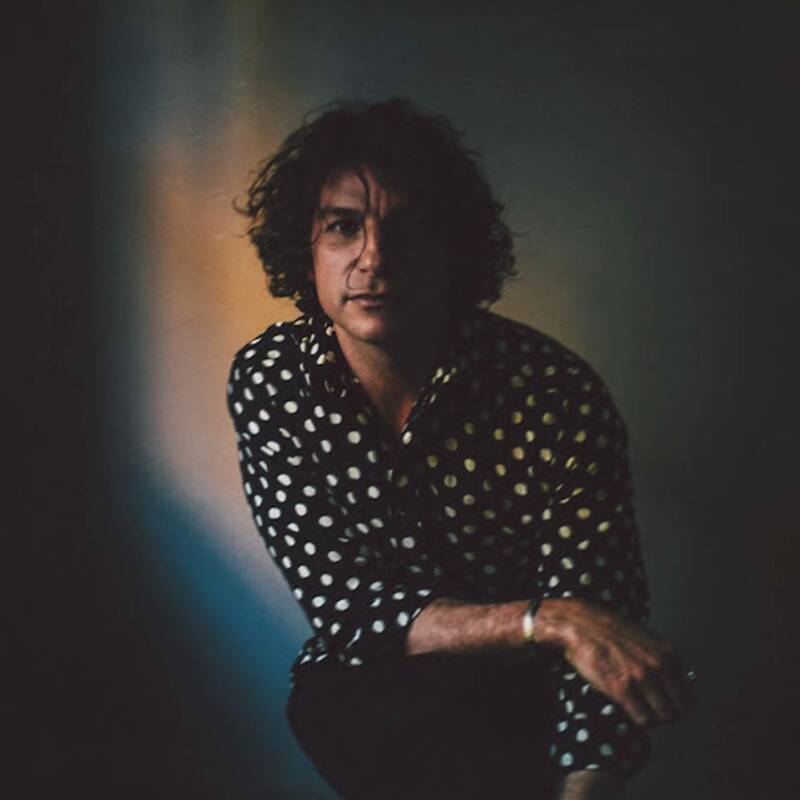 Audiences are in for a huge treat, as both are luminaries in Australian country and folk music – and I chatted to them recently. How long have you two known each other and have you ever shared a stage before? F: We met at Gympie [Music Muster] last year. And this will be the first time [to share a stage]. So you obviously got on, as you’ve volunteered to tour part of Queensland together. T: Yes, and we were on the same bill at Woodford Folk Festival this year and got to talk about doing these shows together – that’s how that cameabout. Fanny, obviously you tour country areas a lot with your Country Halls tours – but obviously this specific kind of tour, you’re going to a very particular area, so when you were initially talking did you think it would just be nice to tour together or did you have a specific area in mind. F: We were talking about western central Queensland specifically and getting out there. Why western central Queensland in particular? T: The story goes that I played a house concert. There was a Rotary member there, and she had some people doing some things out in Longreach. This guy had been doing a lot of fundraising – small community events to bring the people together – and he was really interested in doing some music. So we talked about doing some gigs together – he also runs a thing called the Western Queensland Drought Appeal, but his main thing was that he just wanted to create some awareness around it, and put on some music events, really just so people could come out and have a good time. I think that’s what the main thing was. And Fanny and I were talking and she really wanted to go to Queensland and these shows came up. So it was just a really perfect fit, and they’re really excited too that these are happening. that people get out on the day? T: It’s kind of been a joint effort, but really they’re the machine behind it. It seems like such a good fit that I’m wondering why it doesn’t happen more, that they get involved with organising tours because they obviously are in a lot of country towns and they know what their communities need, and bringing storytellers – which is what you are – to those towns would be hugely valuable. F: I think it’s about finding a motivated person and then also finding people that often maybe they’d think it would cost too much money. I think there’s just a bit of a barrier there – a communication barrier. It should happen more. So perhaps this is the start of a long and beautiful association between you two and them. F: We’ll do this tour first and then we’ll let you know. [Laughs] Just kidding – no, it’ll be awesome. Fanny, I’m thinking this will be slightly different to your Country Halls tours because you’re not just hopping in your caravan and taking off – except I know you organise your tours ahead. I know you’re from western New South Wales but I’m wondering why you make it a priority to play in country towns? F: Why not? Basically. They’re just a town like any other town, and you could go to the city and get that. I grew up in the country and I know that people really appreciate it when you bring something to their town. If you live in the country people will travel. They have to drive hundreds and hundreds and hundreds of Ks just to go to live music. If you go there, I’ve found – or we’ve found with the Country Halls tours – they’re so supportive. I’m writing music about that world anyway so I thought why not share it with the people who are inspiring me. And Tobias, for you, how do you feel about going out into country towns and making music, because it takes an effort to organise that too. T: I’m really excited. I’ve spent a bit of time playing in rural areas. 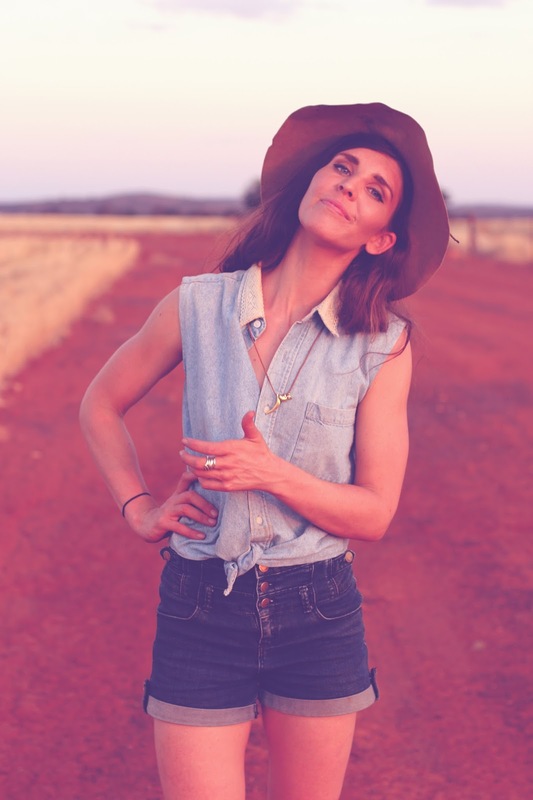 I’ve never been out to Longreach so I’ll be a real tourist, I think, but I’m really looking forward to it because I know that when you get out, off the beaten track, there’s much more of an appreciation for music and connection as well. That’s what I get excited about. Just meeting new people. And I suppose also it’s that you’re storytellers going into these towns – there is that sense of an exchange, almost, and who knows what comes out of it for either one of you in terms of songs you might want to write or experiences you might want to document. T: Yeah. It ticks all the boxes for me, I’m really excited. Fanny, have you ever been to these towns before? F: Yes. My dad’s idea of a holiday when we were young was to put the bags in the car and all of us kids and then drive northwest, and pull over to the side of the road and camp. So we would go up to Queensland a lot because he had lots of friends on different stations, so we would go to their stations and help them work as our holiday – which we were thrilled about as kids. So I did spend a fair bit of time there and I had some family who lived up there too. I haven’t been up there for a long time, too – maybe since I was in my teens. It’ll be nice to get back out there. How did you choose these towns? Some of them are really small – one of them has just over a hundred people. Was it Rotary that suggested these particular towns? T: Yes – David Phelps, who has helped put all this together, these are the communities that are really close to his heart, and he knows them out there, so he’s chosen those venues. F: People will drive hundreds of Ks to those kinds of shows, so when I’m choosing halls – and I’m sure that this will be reflected in the tour – I’ll choose the tiniest, tiniest places over the big places every time. I’m just wondering at the things you’ve seen in the last couple of years alone. You’ve been to so many different places, it’s amazing. It’s more a comment than anything – it’s a range of experience that a lot of artists don’t have because it is a big commitment to go out to all those destinations. F: Yes. I just think they’re the best shows ever. They’re just funnest and, like Toby said, you get to meet so many other people and it’s like this conversation rather than being a one-way delivery of something. It’s a two-way beneficial kind of thing that happens. It’s a risk, and that’s fun too. Tobias, how are you going to organise the sets – who gets to go on first, are you going to play any songs together? T: I think there’s going to be a few local kids in each town who are going to play a little bit first, then I’ll be playing then Fanny, and Dan [Fanny’s partner] will be wowing everyone with their set. And we might have a jam at the end – I’ll bring my banjo and we’ll see how it goes [laughs]. F: I reckon we should definitely have a jam, do some songs together. T: I think it will be great fun. You could add to the fun for everyone by springing songs on each other. F: Haha! I don’t know the words to any songs, I would be so bad at that game. Shane Nicholson is known for doing Song Bingo, where he hands out tickets and if your number is called you can request a song. He said that sometimes he thinks people giving him the most obscure songs, and sometimes it goes badly and that’s part of the fun too. T: For sure. I saw him do that at Tamworth – it was great. It was an awesome way to get everyone involved in the set. You mentioned those local kids who will be playing – is Rotary organising that or are you going to do a stunt audition on the day? T: It’s funny – putting this together, a lot of people have hopped on board, and there’s a group of people in Longreach called The Music Makers, and they do music workshops with people who want to play music, and they take it out to different and smaller communities. So they’ve really jumped at the chance to help out with that. We’ll be mingling with them a little bit before the shows and then their star pupils will get up and do a number or two. Fanny, I also wanted to ask you about Broadbeach Country Music Festival and Gympie, because clearly Queensland is going to become a second home for you. What are you looking forward to for each of those festivals? F: It’ll be the first time we’ve had our band together for a long time. We’ll have the full Thrillseeker line-up, so that will be amazing. And I’ve never played Broadbeach before, so that will be great. Gympie we played for the first time last year and had such a ball, such a fun festival. We’re going to be bringing some new stuff to the set, which is really exciting. It’s going to be really fun. We’re really going to work on our set and hopefully bring our best show. And I’m excited about the other artists, obviously. And Tobias, you’ve played Gympie, obviously, because that’s where you two met, but have you ever played Broadbeach? T: No, I haven’t. But I was at the Blues on Broadbeach, and I have to say it’s a fantastic event – the energy there is amazing. There are so many people and the great weather and all these outdoor stages. It’s really great. The Country Music Festival should ask you, too – you don’t live that far away. You could drive down on the morning! T: [Laughs] For sure. Maybe. F: You should call them up and heckle them about it. Or maybe stand there during Fanny’s set and heckle. F: Either or. Come on the same and heckle. Now, Fanny you mentioned putting new stuff in your set, so I imagine there may be a new album in the works – is that the case? Yes, we just successfully crowdfunded the second album. F: [Laughs] Awesome – thanks! We have announcements about that coming soon. We definitely will be incorporating the new music into the sets. We have some stuff in the works. At a festival you’re not necessarily playing for your fans – because that’s the nature of festivals. It’s probably a really good opportunity to play some new stuff and see how it goes acros. F: Exactly. We’ll play some of the old stuff as well, obviously, but I’m all for playing new stuff. It’s just fun for us, mostly. [Laughs] But there are fans who come and they get really excited about the new things as well, and if you’re telling a story around it and you give people context, they’re usually pretty receptive to new stuff, which is great. And Tobias, I think you’ve always got something creative on the boil, but do you have a new definitive project, like an album in mind? T: I’ve just recorded a new EP with a very dear friend who’s a music producer. We actually played in our first band together when we were thirteen, when we busked at the markets, Actually, we were in grade four – we used to do AC/DC covers. Singing things like ‘She’s got the jack’ – we had no idea what we were talking about. So that’s been a really great experience. And I’m the process of writing a new album, too – the third album – which has been really great fun. Have you considered recording these Queensland gigs? F: We’ll see how they go. We have all our stuff with us, all our recording stuff, so we can if we feel like it at the time. I’ll definitely document as we go, film things as we go. We definitely won’t be livestreaming because there’s definitely not enough service out there. The requirements sometimes with social media for artists, I sometimes wonder if they’re too much – you just want to get up and do your jobs. F: Yes, it is sometimes too much. Especially when there’s lots of other elements or other organisations that are requiring something of you. But I wouldn’t want to take away from the actual event because we were filming it. We want to be focused on having a good time. Well, I am curious to see what comes out of this – I have visions of different types of collaborations between the two of you. No pressure. T: [Laughs] We’ll keep you posted. Concerts in Ilfracombe, Isisford and Yaraka are free entry. Please arrive early to guarantee your seat. Tickets to the Longreach concert are FREE – registrations are essential. Click here to register. There are many wonderful, moving songs on Fanny Lumsden’s Small Town Big Shot, and the first of them is ‘Bravest of Hearts’. Fanny has just released a video to accompany the song, and if the song wasn’t evocative enough of the land and the people who work it, this video shot in western New South Wales does the job beautifully. Enjoy the song, and the video, and do buy the album while you’re at it. Fanny Lumsden lives in Sydney now but originally hails from western New South Wales – from, as she sings in the opening line of her opening song, ‘Bravest of Hearts’, ‘a long line of farming families’. So when she sings about the land, it’s no surprise that her voice conjures up summer heat across paddocks, long country roads with nary another car in sight and the way the Australian sky looks as it stretches away to the horizon and into this country’s ancient heart, bigger than seems reasonable or even possible. Small Town Big Shot is, in part, an album of stories about what happens when big dreams don’t fit a small-town life, and what can be done about that. It’s also an album that wouldn’t have been created without its creator’s own big dreams about telling stories to a whole lot of people, and Lumsden seems to intrinsically understand her role as a storyteller. She understands how to structure a song so that its story is told properly. She understands how to sing in such a way that the listener will pay attention and feel the emotion she’s conveying, whether it’s whimsy, wonder, disappointment, sadness or love. She also knows how to entertain. Lumsden bills herself as ‘alt country’ and it’s not for me to quibble with that. All I’ll say is that to me Small Town Big Shot sounds country-country, in that Lumsden is clearly educated in the structure, sounds and instrumentation of ‘traditional’ country songs, mainly of the Australian variety. It’s not inconceivable that one could draw a line from Joy McKean to Lumsden – McKean knows how to tell a story straight, grab the listener’s attention and make them feel something, and Lumsden has the same set of skills. Small Town Big Shot makes me tap my toes and also want to have a quiet weep in the corner. It has humour and pathos. It evokes places and people, with compassion and clarity. It’s also an album about the land written by a woman who knows her subject intimately and who can write about it meaningfully. We don’t have a lot of those sorts of songs, and the canon of Australian country music is unbalanced without them (although when they come, they’re spectacular, as in the work of Harmony James and Sara Storer). In this way Lumsden adds something important to country music as a whole. That’s not to say that you should buy this album because it’s worthy – that’s just a benefit. It’s simply a great album, Lumsden is a rare talent and these songs should be heard far and wide.